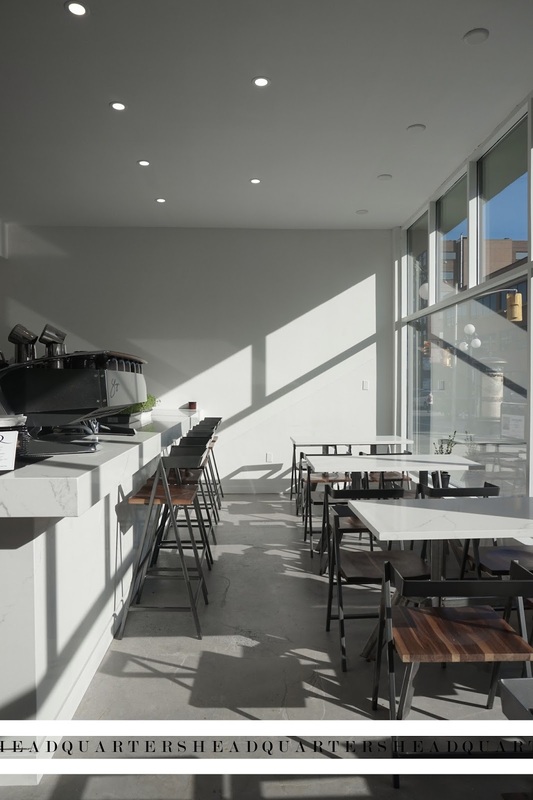 Marble countertops, minimalistic decor and a sun-lit space. Headquarters on Clarence Street will win your love at first sight. BADDIES vibe. 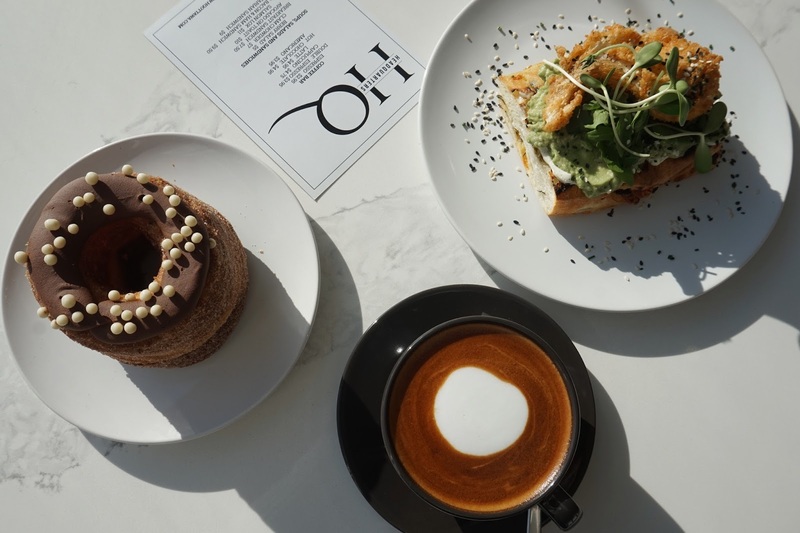 It's been a week since Headquarters Cafe, which hybrids as a hair salon, has opened its doors in the Byward. 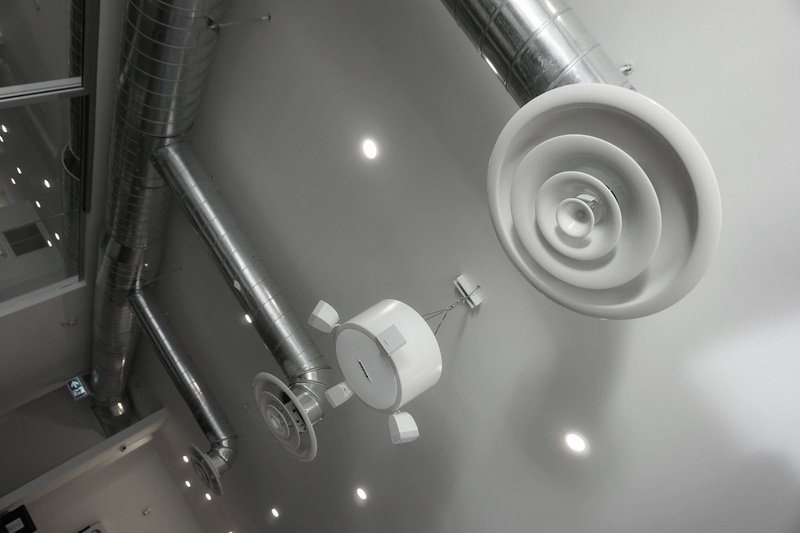 Headquarters holds the capacity of 109 customers. But entering, my friend and I were the only ones. I came with the intention of studying before my shift (that's what I did after an hour of taking pictures of everything in sight)... As the capacity shows, this place is spacious. Neatly arranged rows of seating surround the coffee bar whilst providing a clutter-free space. The baristas told me their intend to add more outlets within the next few days. The wi-fi password is "quarter25" (You're welcome) It's the ideal place to study for me because I can casually monopolize an entire table without guilt. 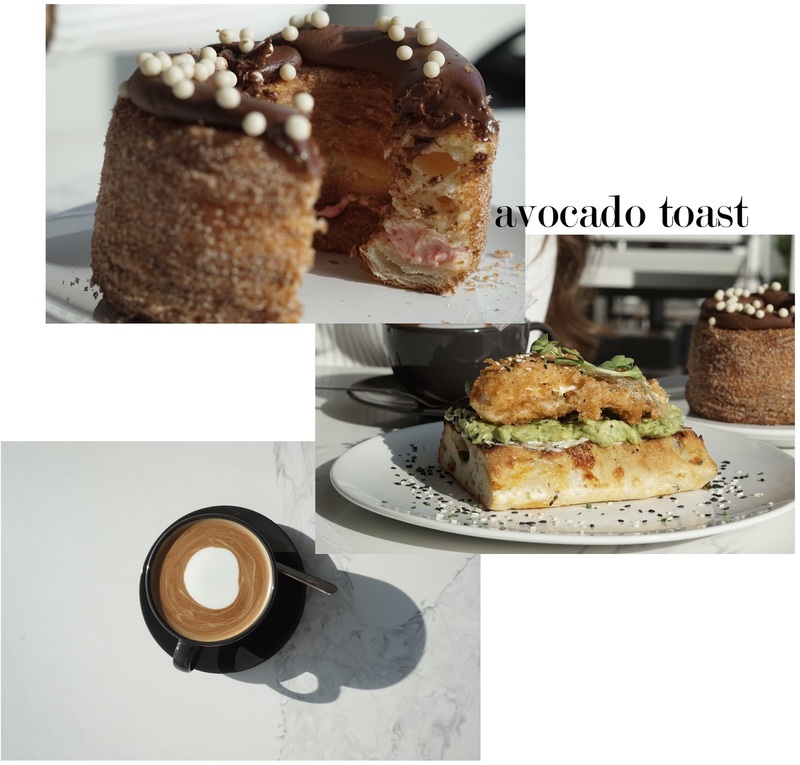 I ordered an avocado toast while my friend went for a cronut and cappuccino. Usually, the avocado toast comes on sourdough but since I was given my choice for bread, I went with cheddar jalapeno. Their breads are freshly baked and delivered every morning from Art-is-N Bakery; that's as good as it gets. 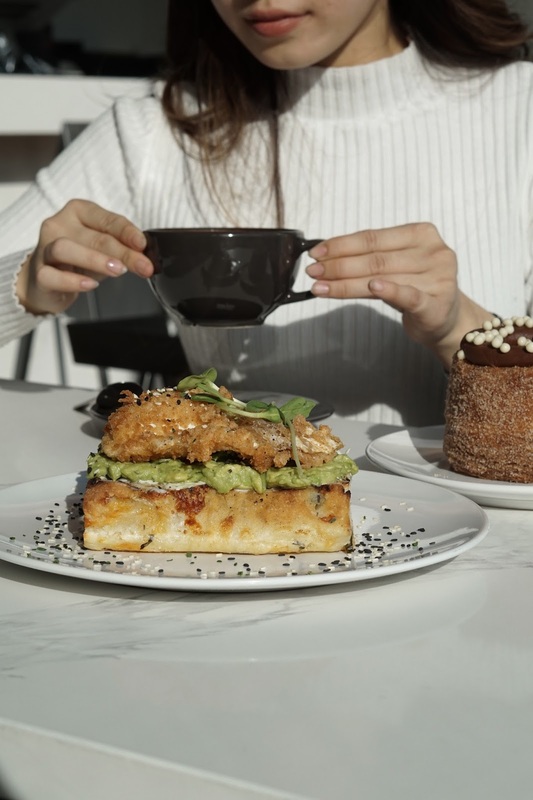 Their seasoned smashed avocado is topped with a panko flash-fried poached egg and garnished with sesame seeds. The portion was satisfying and just as delicious as it looked. 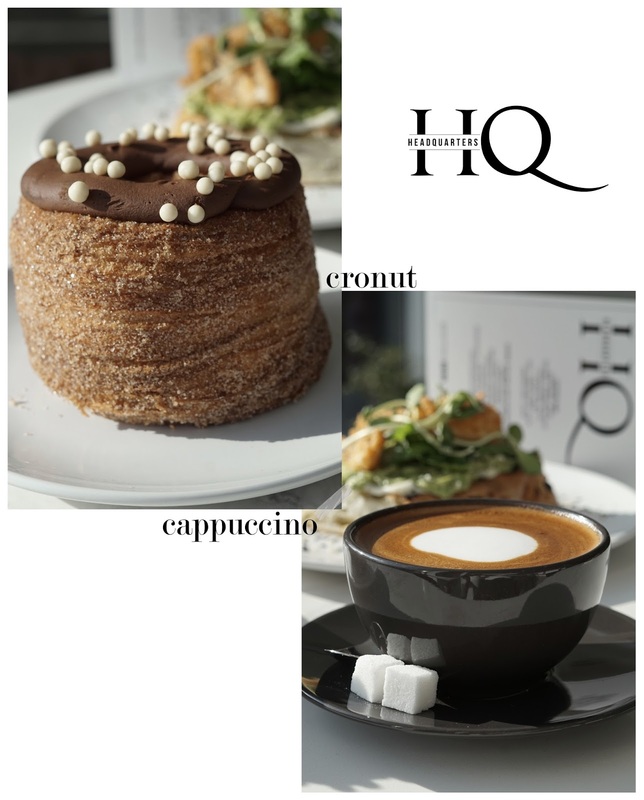 For some reason, I always thought cronuts were bite-sized snacks but in reality they're huge. It's maybe thrice the size of a doughnut but no where as dense, which gives it a fluffy beavertail-like texture. Cronuts are a lot less sweet and lighter than the regular doughnut. It was filled with a strawberry jam icing and coated with ganache. These vibes are perfect for your next catch-up session whether that's with school or with friends. Same difference. I felt comfortable staying here for hours just doing my own thing. 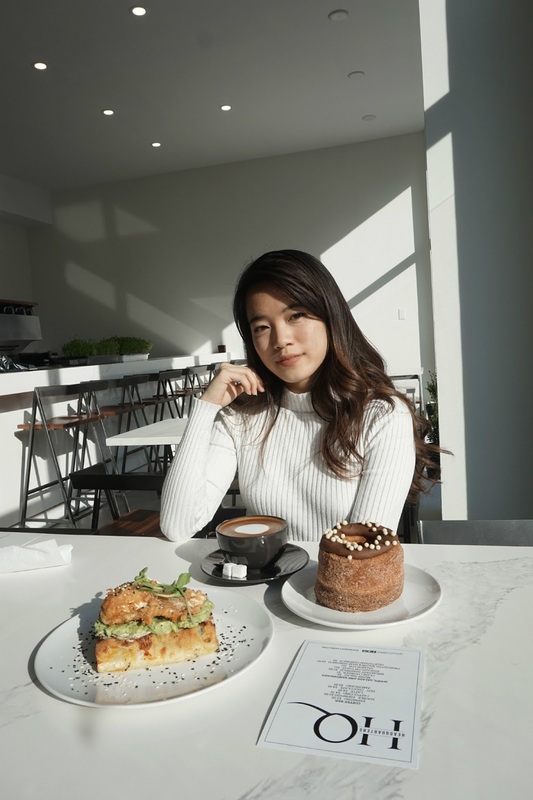 The staff who I encountered, for both the cafe and hair salon, greeted me with smiles and made me feel welcomed during my stay. It's worth your visit the next time you're downtown. Just make sure you stop by before 6pm on weekdays and 5pm on the weekend. Thank you for reading! 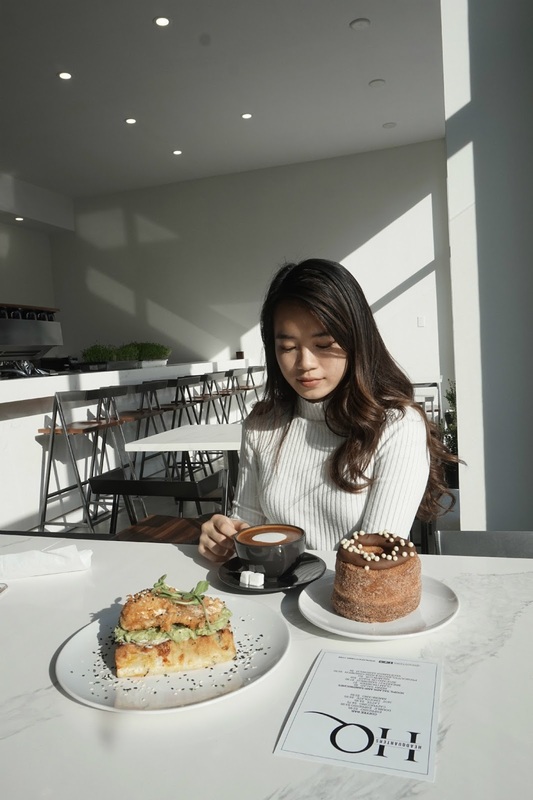 Noelle / 21 / Vietnamese-Canadian lifestyle blogger based in Ottawa.